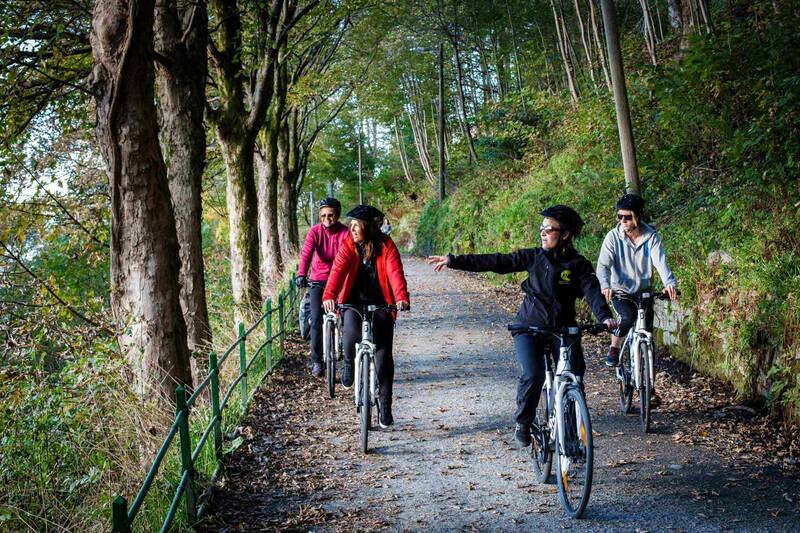 Self-guided 3-hours trip through Bergen. 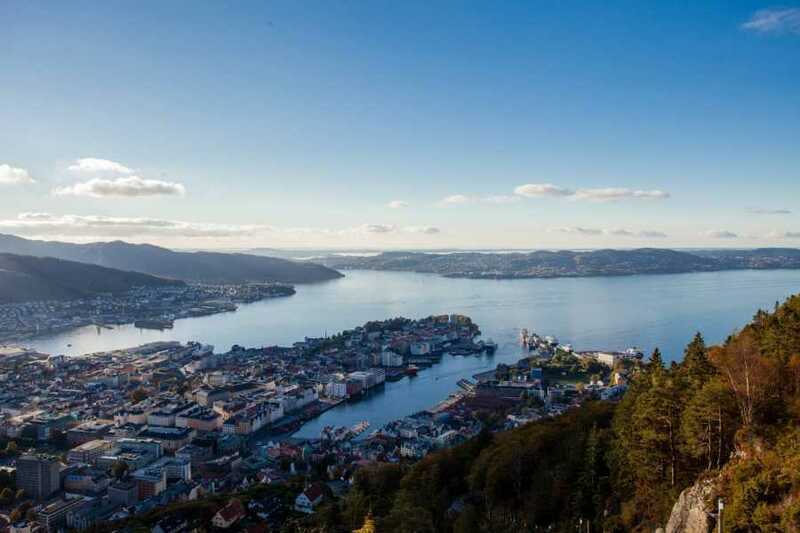 Our App will guide you to Bryggen (The Hanseatic Warf), St. Mary's Church., the Norwegian Fisheries Museum, Gamle Bergen (Old Bergen Museum) and Fjellveien (mountain road) where you get a great view of the city. Tickets to the Norwegian Fisheries Museum and Gamle Bergen (Old Bergen Museum) are included. This tour is not very demanding. Most of the route is along bike trail and flat road. Be prepared to pass meeting cars. This is a self-guided trip, which means that you will be provided with an App, which guides you in the right direction and gives you information about the places you visit along the trail. The tour is around 8,5 km long and takes approx. 3 hours. The bike tour starts in the city centre. You will bike north along the seaside, where your first stop will be at the Norwegian Fisheries Museum, a modern museum for history of the fisheries and coastal heritage. 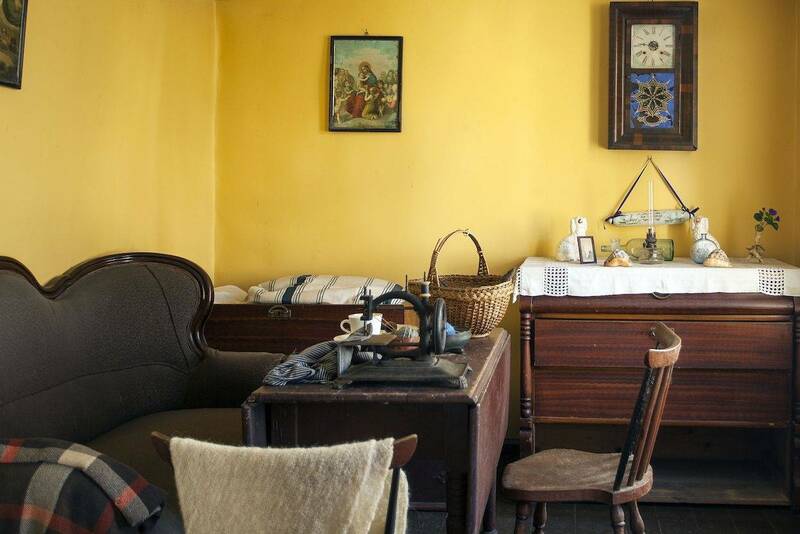 Here you will also find à la carte café and a museum shop. Here you will find some of the best preserved seaside warehouses in Bergen. The stockfish warehouses are a unique cultural memorial from a time when Bergen was the centre of a stockfish trade that spanned the world. In the harbour, you will also find a variety of traditional boats. The tour continues to Old Bergen Museum. 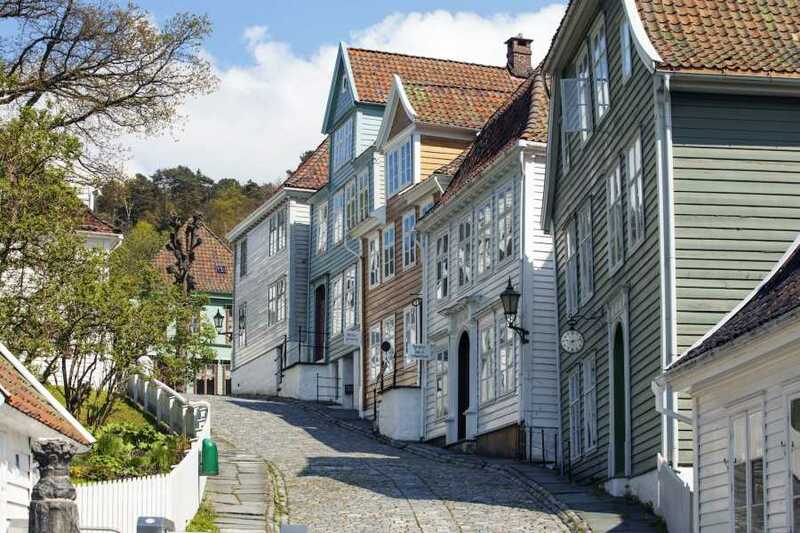 In the 1800s Bergen was Europe’s biggest wooden city, a distinctive city environment with closely spaced wooden buildings, busy streets, markets and alleys. At Gamle Bergen open air museum you can experience some of this atmosphere, with houses from the eighteenth, nineteenth and twentieth centuries. Museum shop/café. 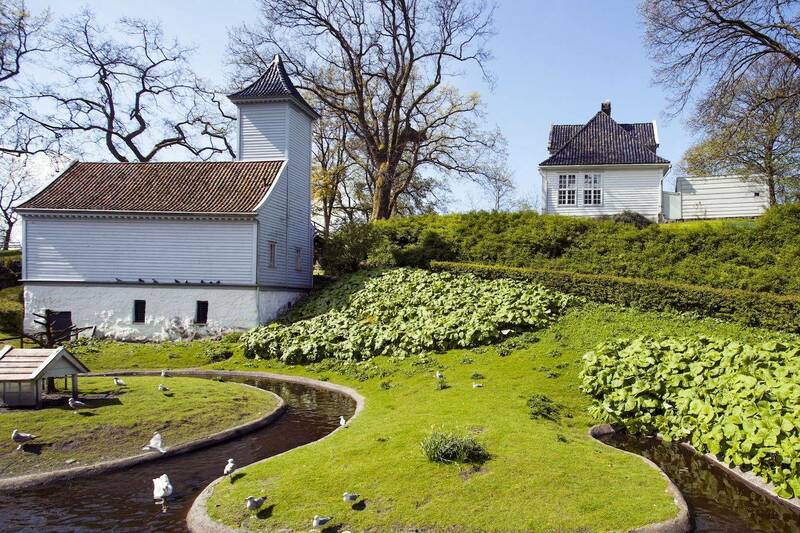 The restaurant Gamle Bergen Tracteursted is open from June 1st to August 31: 12-17 (Mondays closed). You continue up the to the mountain road “Fjellveien”. If the hill is too demanding for you, you can walk up. From Fjellveien you can enjoy the view of the city before you go back to the city and Bryggen. 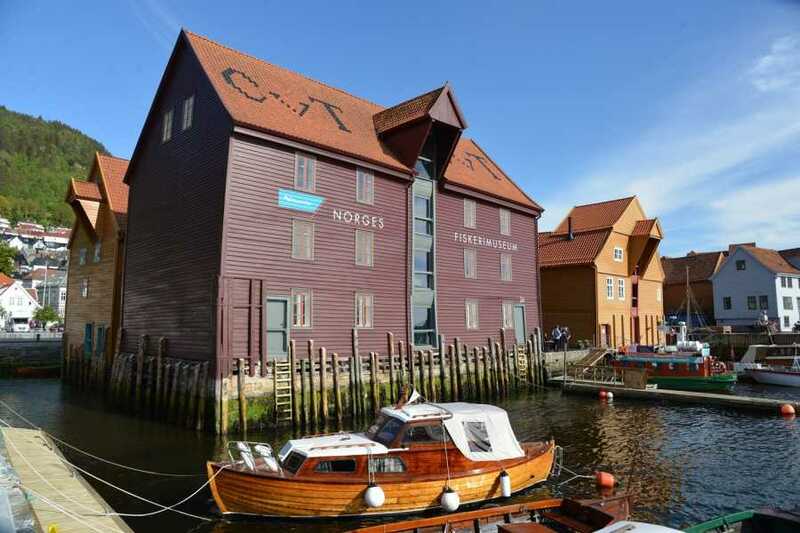 Bryggen, the old Hanseatic wharf, is a living treasure that figures prominently on UNESCO's World Heritage List. 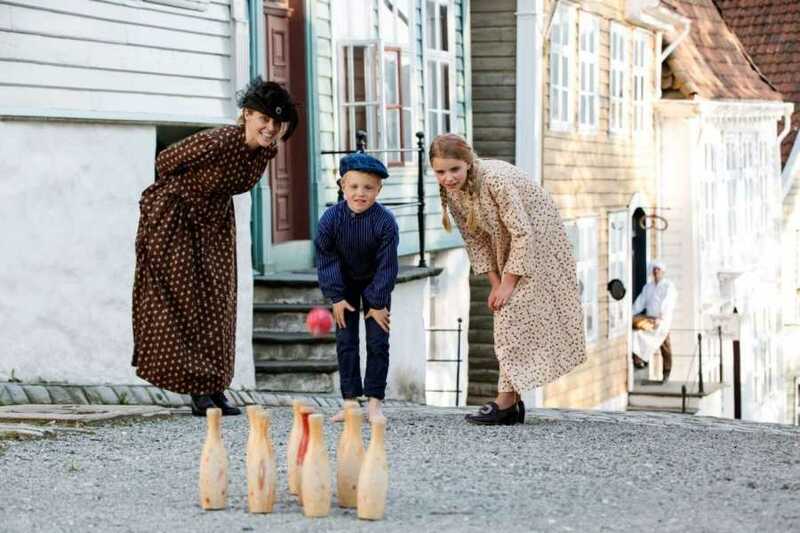 We recommend you make a stop at the Norwegian Fisheries Museum, Gamle Bergen Museum (Old Bergen Museum) and Mariakirken (St. Mary's Church). The tour takes approx. 3 hours. Flat bike road and downhill most of the route, but one hill up to Fjellveien. The route is approx. 8,5 km long. Rent of high quality city bike (Scott Sub Cross 45), helmet and lock for the bike. App with information about the places along the route. Ticket to the Norwegian Fisheries Museum. Recommended age limit 12, due to traffic rules. 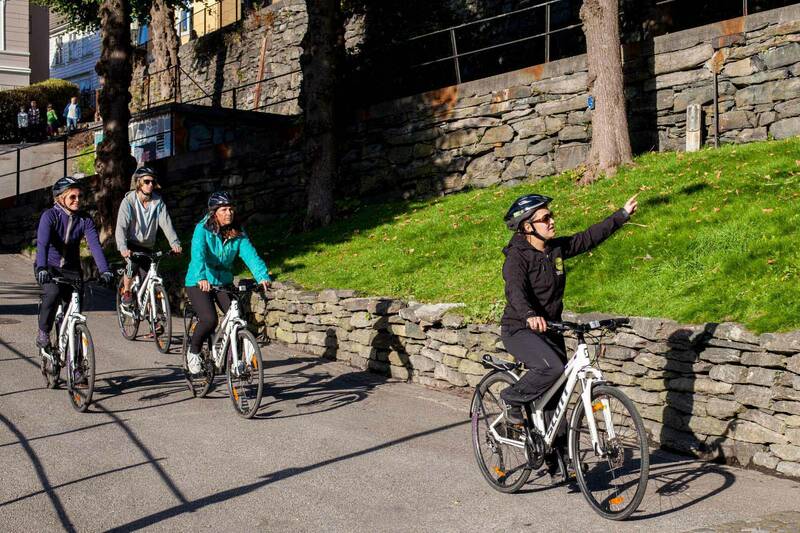 Bikes and necessary equipment will be provided at Bergen Basecamp in the city centre. 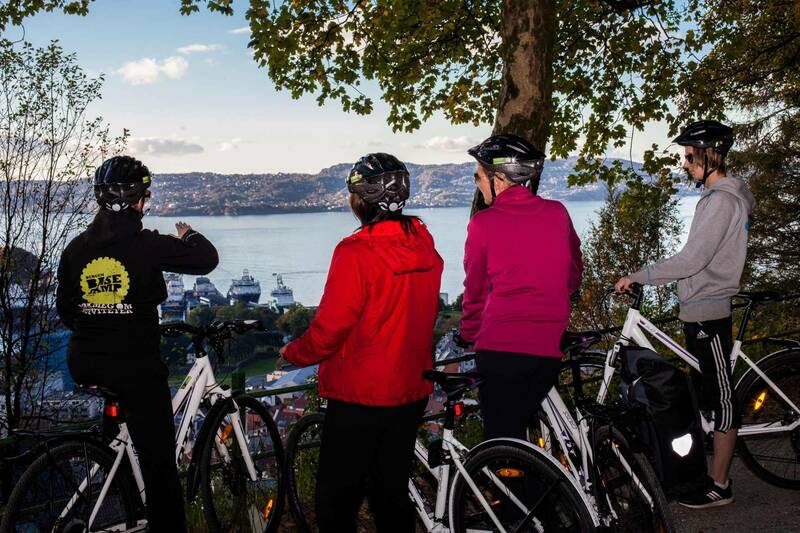 Bergen Base Camp will go through the equipment with you and adjust your bike before you leave. We recommend wearing sport shoes, warm and windproof clothing. Remember to dress according to the weather! Bring a bottle of water, camera and sunglasses. This is a recommended itinerary, where we estimate that it takes 3 hours to do the tour. 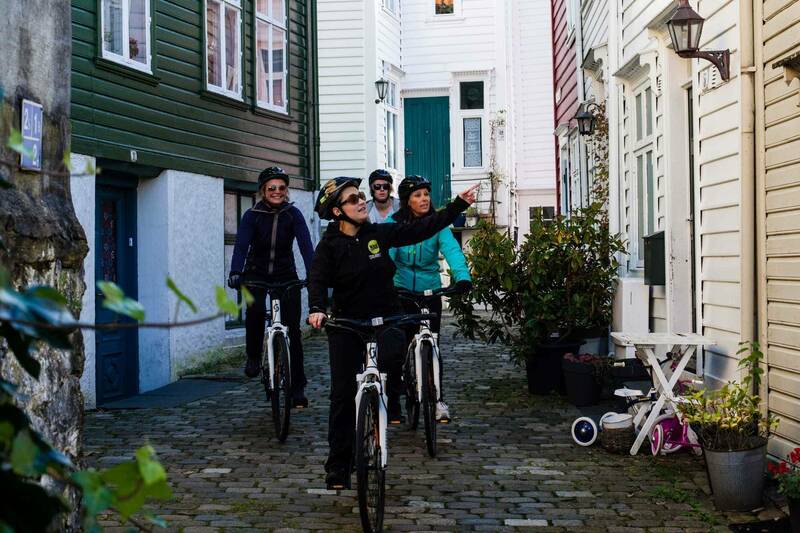 However, we would advise you to use more time at the Norwegian Fisheries Museum and Old Bergen Museum. You can plan the day as you want to. 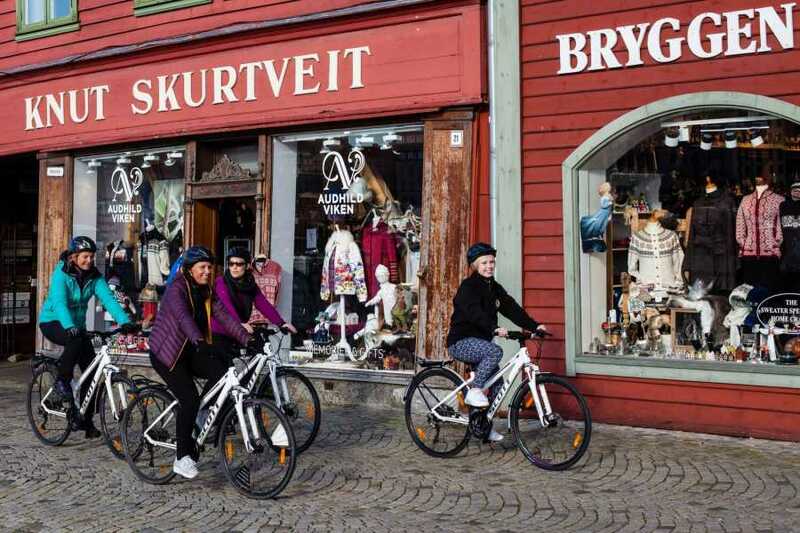 You can also start later and you can do a faster tour, but please note that the bike must be delivered back to Bergen Base Camp at Bryggen before 19. The tour can be booked until 14.00 the same day. Cancellation with full refund up to 48 hours before departure. Cancellation fee 50 NOK.